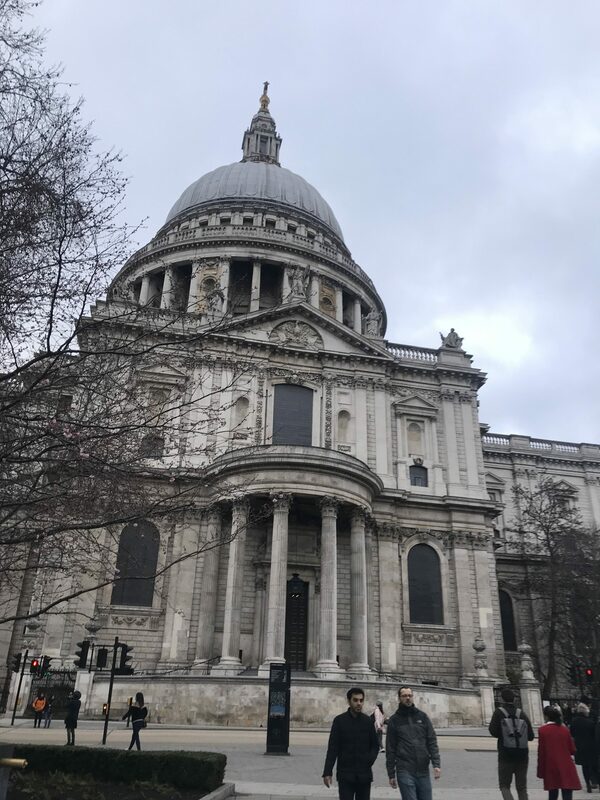 My STEP Signature Project involved a study abroad visiting London and Paris during the Spring ’18 Spring Break. 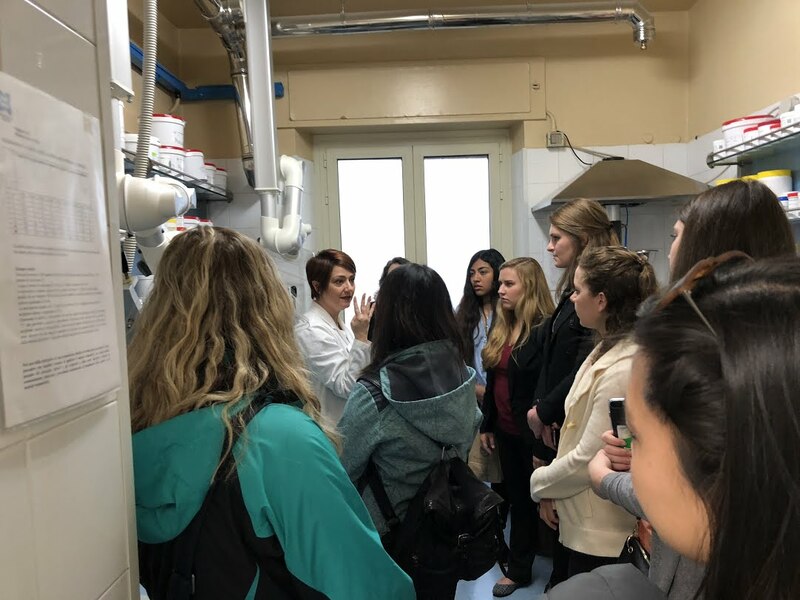 This study abroad program was through the OSU Department of Evolution, Ecology and Organismal Biology and consisted of a 3 credit hours course in which we were visited by many guest lecturers on topics like scientific revolutions, European scientists, and global cultures. Before this trip I was rooted in the midwest, destined to stay that way until I had a career and could support myself and my family. Travelling was always an unattainable goal of the future, always second to tuition, rent, and all the other mundane facts of life as a college student. I was stuck in constricting practicality. My focus was to take out as little loans as possible, how would I ever experience travelling while I was young? One of my worst fears was waking up one day, halfway through my life, to find that I never tried to experience other ways of life, other cultures and people. And then I was introduced to STEP. I was given $2,000 strictly to be used for enrichment. This opportunity was not only a dream come true, but a realization that fearing lack of experience is a waste of time that could’ve been spent experiencing. While I saw so much of these two iconic cities, it made me realize that I’ve barely seen my own home. I haven’t been to the Western side of America, I haven’t even been to the Ohio History Center! The boundaries I was desperate to break were not those of state or country lines, not even those of oceans, but of my limited mindset. While abroad, I grew in my capacities for problem solving, adapting, and time management. The colors and feelings of life in both London and Paris were so vivid and complex. It was amazing, being able to see iconic places in real life without any filters. It made me feel small, yet special, to be part of such a world. I walked down streets that have existed longer than the US has been a country, that feeling is indescribable. London gave me a good transition into international travel since everyone spoke English. It was almost like twilight zone, so many things were similar to our culture. The unpredictable weather almost exactly like Ohio, pop music playing, slang people used, classic metropolitan city feel we have here. Yet their accents were straight out of the movies, they had different types of food, and, of course, the currency was (unfortunately for my bank account) different. Because we only had about 4 days in each city, planning was key to ensure we made the most of our time. This really helped me bond with my other classmates and it prepared us for what to expect while abroad. 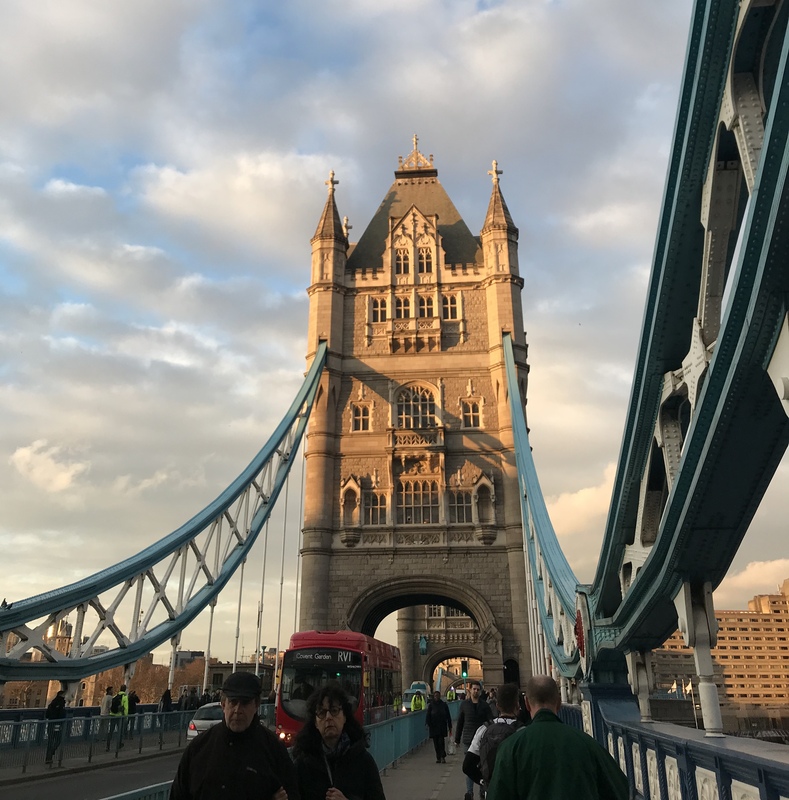 In London, I got to see the house Charles Darwin lived in, I went to pubs and drank (legal) pints of London Pride while talking to locals, I saw classic London theater, and visited their many famous markets. 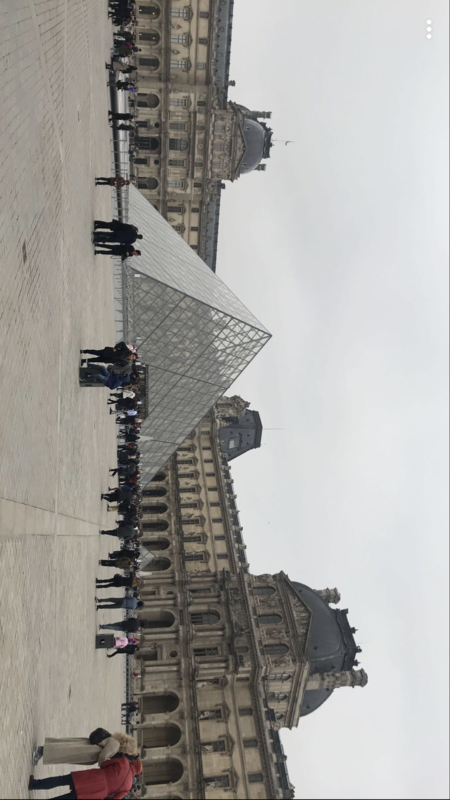 Paris was mesmerizing yet more down to earth than I expected. The Eiffel Tower in real life, during the daytime, looks very industrial and slightly rusty. It’s definitely huge and impressive, but there is obvious wear from the volume of tourists visiting it. At night, however, it comes alive. I’ll never forget walking the streets of Paris with my friends and ending up on a beautiful pedestrian bridge right outside of the Eiffel Tower and watching it light up at midnight. The Notre Dame was definitely a spiritual experience with its architecture alone and I’ve never had such good, yet cheap food. I love being at Ohio State, I take every opportunity I can to build upon myself while here. Every successive class I take further affirms how much I want to do what I’m doing and how far Ohio State has taken me. Despite this, I believe this trip was the most significant thing I’ve done during my time here. To be given funds specifically to help me grow as a person is something I can’t be thankful enough for. This trip made me realize how being desperate to see Notre Dame or Big Ben clouds the wonders in my own backyard. I’m now planning trips to see the wonders of America, which are considerably cheaper than going abroad. I let myself use time and money as an excuse to allow myself to feel stuck and inexperienced. This trip gave me the skills to plan and adapt, because I now know that if I am determined enough to go somewhere, do something, anywhere in the world, I can. Here is the link to the blog I have for this trip, which includes pictures! 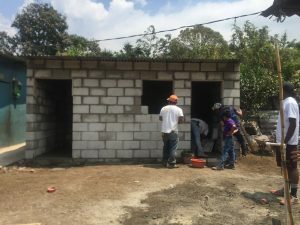 For my Signature STEP Project, I went on a Buck-I-Serv trip to Guatemala. The trip consisted of twelve OSU students who helped build homes for families with the local masons. While there, we worked diligently four days of the week and expired the country the other three days. We hiked a mountain and got to see an active volcano. We even walked over ashes from a previous eruption a month before the visit. We also went on a ferry trip that took us through several locations where we swam, collected souvenirs, and took great pictures of the country. This definitely was a transitional experience for me. Being a homeboy growing up and never wanting to leave the house, I would have never imagined that I would leave the country and explore another culture. As nervous as I was to leave the country for the first time, I had a wonderful time. This trip only made me want to travel more. One aspect of the trip reminded me of everything we take for granted in the United States. Our families were very poor and so were the areas that they were living in. They did not have access to clean water, wore old clothes, and didn’t have systems like plumbing where they were. Working on the house, I realized that in America, we take so much for granted. Not only that, but we expect certain things for our standard of living that other countries do not have the luxury of doing. I was glad to not only explore the culture but help a family and actually creating bond with the while doing so. One key experience was observing the environment around us. There were basic necessities that we take for granted such as flushing the toilet with tissue. Our host mom was well off, so the food she had was organic and nutritional. She had a garden where her food was provided and would go to the local market to get fresh produce. What I realized was that other communities surrounding her neighborhood were not as well off. They drank carbonated drinks such as Pepsi like we would drink water. This would sometimes be a preference but often times because there was no clean water. Another thing I noticed was that some of the families didn’t actually have shelter before we got there. They were sleeping under pieces of roof from neighbors before we actually built the homes that we did. Although it was only a week, the impact we made was evident in the families excitement. Just to see that an act that seemed so little to us made a life changing impact for the families mad the trip well worth it in the end. Another key experience was interacting with our families children. The children only spoke Spanish excluding Jose, who was learning English in school. I had taken three semesters of Spanish and am not fluent. However, those three semesters really helped me with communicating with the family. Speaking with the children helped us stay energized to do the psychical work. they often laughed at us or our mentor, who really struggled with Spanish, due to our terrible accents. But they also would correct us or help teach us words that we didn’t know before. We were also excites that we could actually understand what they were saying most of the time. The interaction with the children was the highlight of our work day. It made leaving them on Friday so much harder as well. 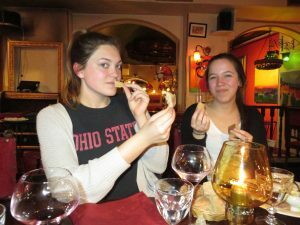 Another key experience that contributed to the trip was being able to explore the culture and actively participate in it. There was one day that we helped our host mom prepare a flower garden for a parade that they were having that evening. 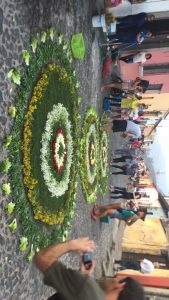 For their Catholic religion, they were preparing for a tradition where they created decorative beds out of flowers, fruits, vegetables, leaves etc. After the decorations were completed, a group of priests would walked down the streets in their robes, arms linked to celebrate. We were excited to be a part of their tradition and the community loved our finished product. This is just one of the many cultural ideas that we were able to take part in. This experience impacted more than I thought it would. One of the greatest impacts that it left with me is a new perspective. This study abroad trip gave me the understanding that studying abroad wasn’t in further reach than I thought it was. Leaving the country was always something that seemed like a dream or a fantasy. But its a lot easier than I thought it would be. I now know what resources are out there for me to travel even after graduation. This is something that I can take with me and continue to explore after I graduate. 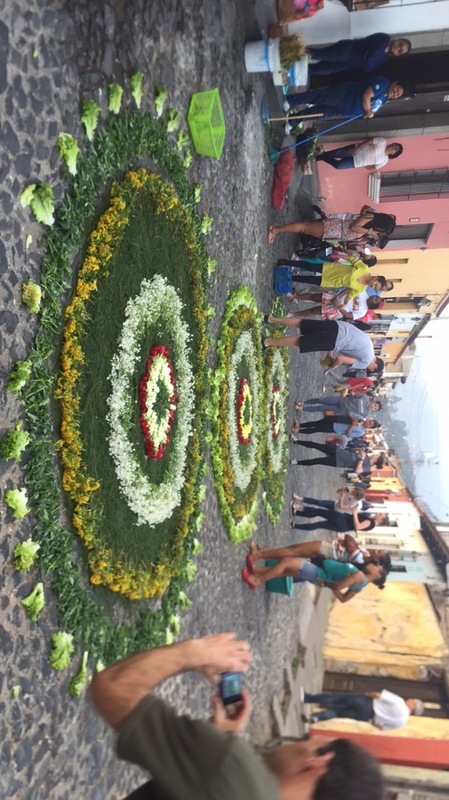 The Costa Rica Agricultural Sustainability Service-Learning Program encompassed a nine-day trip to Costa Rica with the intention of gaining knowledge about environmental and agricultural sustainability. We were able to learn about various service projects applicable to sustainability in a tropical environment, and had the chance to observe real-world agricultural through various farm tours and natural environments in Costa Rica. I have now been to Honduras, El Salvador, and Costa Rica, and the differences between the first two places and the latter are still shocking to me. My view of Central America has been twisted to consist almost exclusively of corruption, poverty, violence, and gang influence. It was so wonderful to witness a similar culture, climate, and geography that ISN’T struggling. As a civil engineer, one thing stood out to me especially: the infrastructure. Although Costa Rica isn’t impressive when placed next to the extremely high standards held for water systems and drainage in the United States, it is night and day compared to my personal experience in El Salvador and Honduras. Just the fact that infrastructure such as storm drainage and sewage systems functionally exist is encouraging to me, as it tells me that Costa Rica is thriving enough to have resources that improve quality of life beyond survival. This is exciting and fuels my passion for humanitarian engineering work in impoverished areas of Central America, knowing that Costa Rica can be a successful model. Given that I having a relatively fluent speaking level, I was able to have an extremely rewarding and unique experience during my time at the homestay. 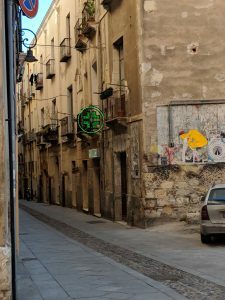 I was nervous coming into the trip, given that I knew I would be the only Spanish-speaker in our house and that I have had very limited translating experience. Elias and his wife, Anna, could not have provided a more encouraging learning environment. They were so obviously intentional about their word choices, speaking pace, and gesticulations, showing patience and awareness of the difficulty involved with a non-native speaker. Given my ability to communicate, I was able to get some really neat insight from Elias regarding his community, Costa Rica as a whole, and his perception of the United States. Because he provides food for many families, he shared with me as we rode through town to the church that he knows just about everyone. I learned that it is extremely common in that community to stay after being born and raised there—which explained why their daughter Mariana pointed in what felt like 80 directions, saying “prima, tio, primo, primo, tia, tio, abuela, primo, abuelo” and so on. It seemed reminiscent of small towns in the United States, where people seem to put a lot of weight in being physically near family and valuing their commitment to the community they were raised in. A neat experience for me personally was our visit to the Catholic church on Sunday evening, as I was raised in the Catholic church. It was extremely fascinating to see not only the differences, but the innumerable similarities between my experiences in mass in the United States and what I experienced in their setting. Even the songs were the same, but simply in Spanish. Although this didn’t surprise me, it was really neat to experience something so familiar in a place so foreign. The realization that Central America, an area I am very passionate about, does in fact have successful regions capitalizing on their natural and cultural vibrancy is extremely exciting and encouraging. There are times during my humanitarian engineering studies where I have felt discouraged by the violence in Central American countries such as Honduras and El Salvador, so I am happy to see a positive role model in such close proximity to these struggling countries. I am feeling re-invigorated towards my goals in service and engineering outreach in Central America and plan to learn more about Costa Rica to help with my understanding of developing areas. 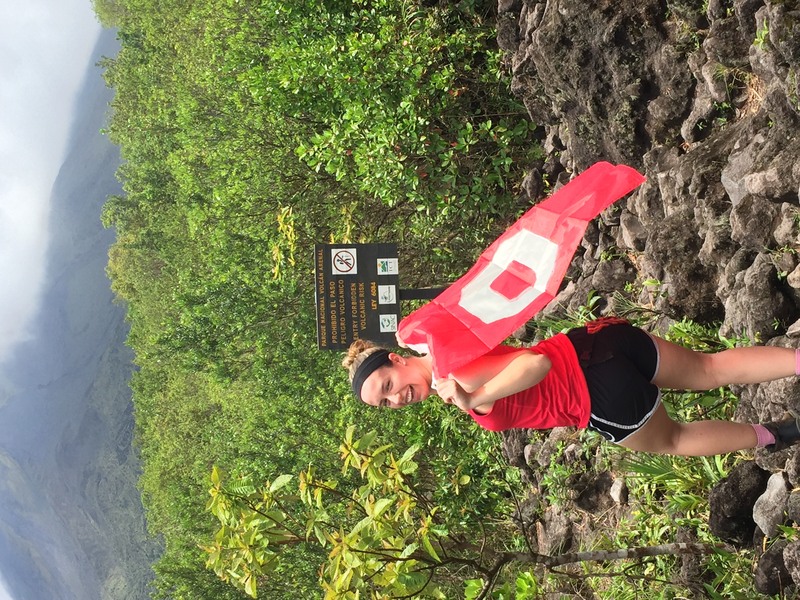 At the highest possible hiking point on the Arenal Volcano National Park! 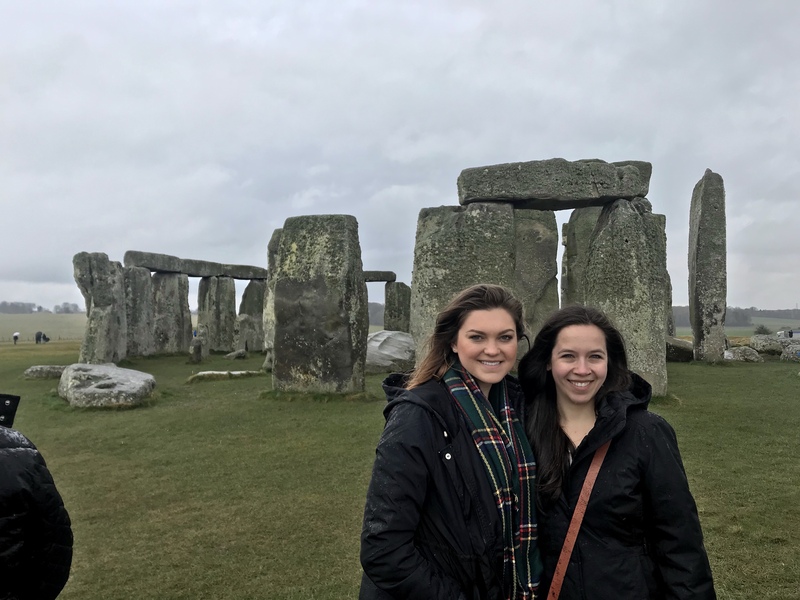 Over spring break, I was fortunate to be able to travel to London and visit several architectural wonders such as Stonehenge, Westminster Abbey, and St. Paul’s Cathedral. I documented this trip through pictures and videos that I compiled into an IMovie along with facts about specific facts along our trip. 2. 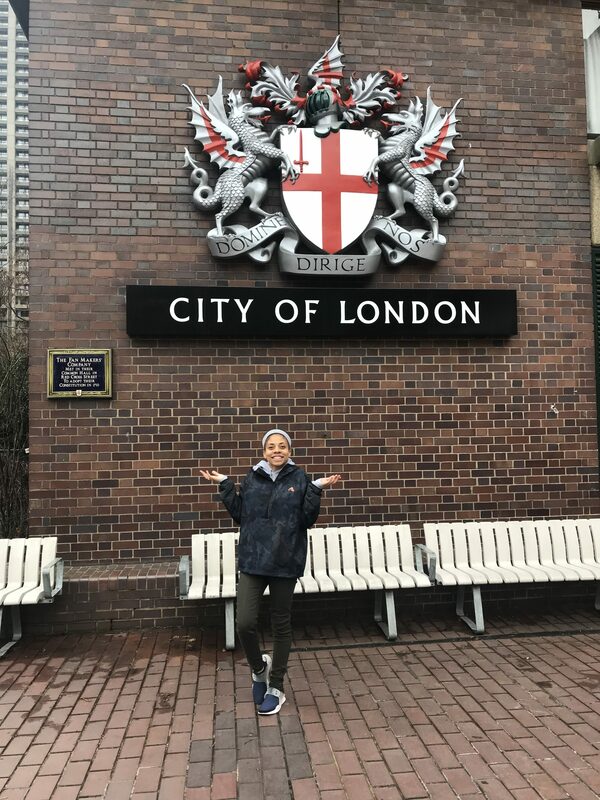 My study abroad trip to London really challenged me to open my mind and be open to new experiences and the chance to develop new skills. This trip was focused on architecture and how it shapes the culture and city of London. As someone who is not an architecture major and hasn’t taken any sort of sketching or drawing class I figured this would be challenging. Through the trip I grew to appreciate what sketching can help you see about a structure. Sketching and recreating my sketches in different media helped me to better understand the intricacies of the space I was occupying. 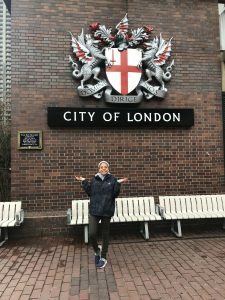 It also helped me to analyze some of the traditions and things we value in the U.S and there are some cases such as sustainability practices that I feel London is even doing a better job in than the U.S.
3. The faculty leader of my trip really helped to make my experience transformational and fostered a space for growth. 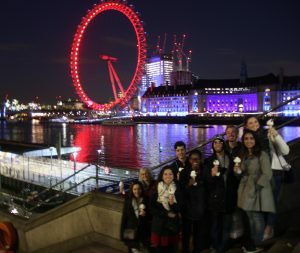 During the course we not only learned about the basics of sketching and the different styles of architecture but the culture and history of London as well. 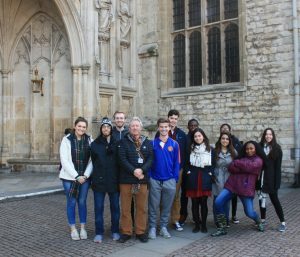 We learned about the royal family and their importance to the city, as well as the rich history of the buildings. We discussed the events that led to St. Paul’s Cathedral becoming essentially the heart of the city that all buildings are required to work around in order to not obstruct the view. Before this, I never realized the impact that buildings could have on the planning of a city. Our faculty leaders encouraged us to be independent as well. In class, they taught us how to use the tube map and we ran through exercises of the best ways to navigate the city via tube and bus. We also learned little mistakes that tourists often make that really made me feel confident in my ability to navigate the city. While they were always there to help if need be, I appreciate the free time we got to go see various sites that we were interested in and personalize our trip. Last but not least, I enjoyed getting to know the group that I went on the trip with and they really helped to make this experience transformational. Many of these students were architecture students and going into this I knew nobody in the class. Along the way they provided me with helpful tips and encouraging words that helped me to really find my own style of sketching. This really enhanced my experience in each place we visited. This led me to open my mind to learning and seeking out knowledge about subject matters completely different from the one that I am studying. 4. I feel that this experience has molded me into a more well-rounded person. 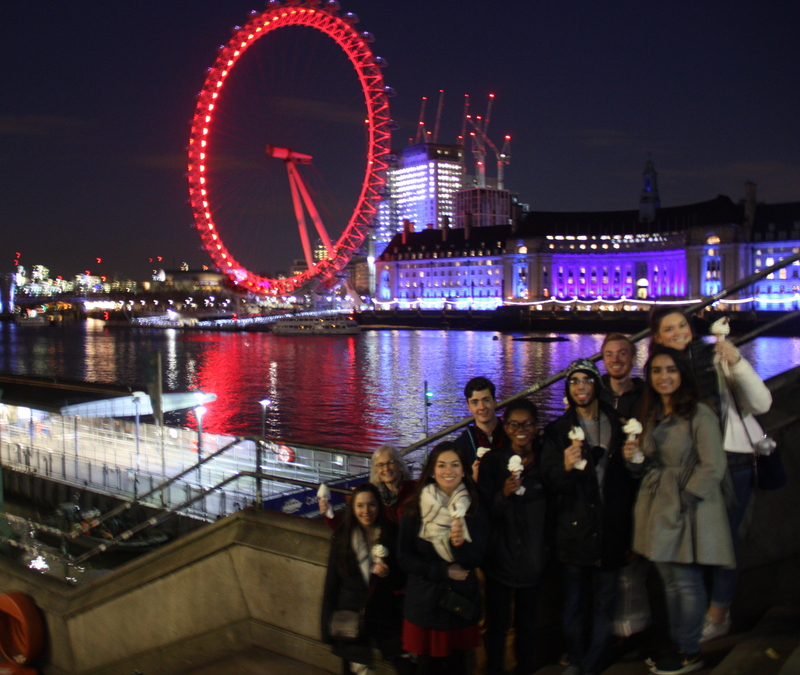 I have gained knowledge about the culture and practices of the people of London. I have also gained a sense of independence as I learned how to navigate and be self-sufficient in a completely different country. I would definitely love to go back to London and take a look at the differences between their media practices and ours and learn more about crafting messages that will be relevant on a global scale. 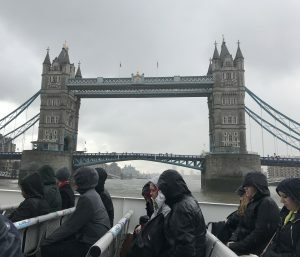 For my first trip abroad, I feel that this was the best possible opportunity for me and I thoroughly enjoyed my time in London. For my STEP signature project, I studied abroad in both London and Paris over spring break. Prior to the trip, my Scientific Roots class had guests speakers come in throughout the semester to discuss many discoveries and paradigm shifts within the scientific communities. We learned about Louis Pasteur, Charles Darwin, Antoine Lavoisier, John Snow, Marie Curie, and many others who have contributed so much to the field of science. The purpose of these discussions and presentations was to prepare us to see these individuals’ discoveries and contributions, first hand, where they actually took place. 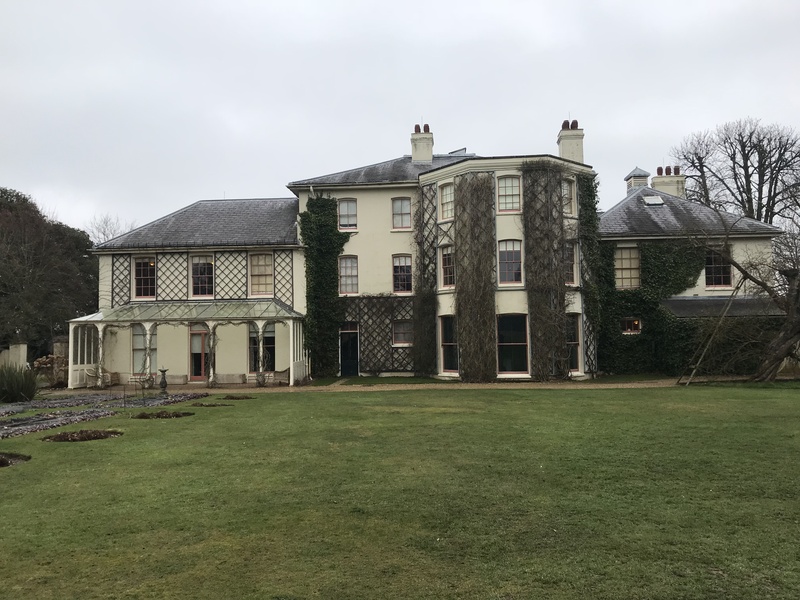 While abroad, we visited places like Darwin’s Home in the Downe, Louis Pasteur’s laboratory and home, and many other museums and sites that related more to the topics we learned about prior to the trip. This trip was extremely transformative for me because it allowed me to gain a greater appreciation for other cultures, more in Paris than in London due to the language barrier, and to make what I have been learning in my science courses since I was little so real. There were two truly transformative events that stood out to me during this trip. First, right after we landed in London, we took a bus to Charles Darwin’s home a little ways outside of London. The town is very small and quaint, and Darwin’s home is quiet and beautiful. You start learning about Charles Darwin in elementary school when students take their first science classes. You learn about his studies within the theory of evolution and all the contributions he made to classifications of species. However, I never really stepped back and thought to myself how Darwin was a real person who accomplished as much as he did in his lifetime. Going to the Downe and walking his garders, stepping into his family room and bedroom, and being able to see his journals and maps first hand was truly amazing. Additionally, Darwin would often visit a small pub in the town, which we had the pleasure to eat lunch at following our visit. We also were able to go across the street and see where some of his family members are buried. 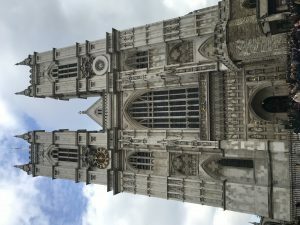 Secondly, I think it is a tie for seeing Westminster Abbey and meeting the President of the Royal Society for my second most transformative experience. 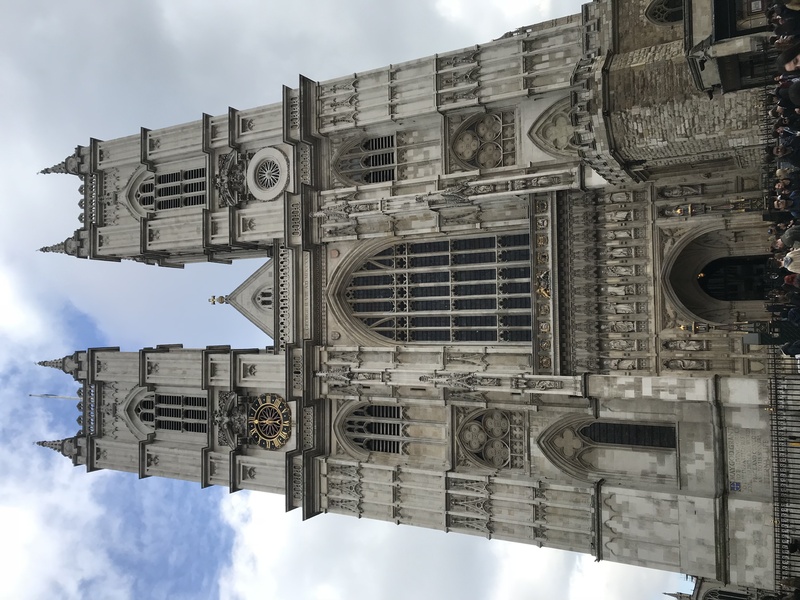 So many notorious individuals are buried in Westminster Abbey like Newton, Mary Queen of Scots, Charles Darwin, JJ Thomson, and now Stephen Hawking (who, sadly, died the day after our visit to the Royal Society, where he is a member). It was amazing to be able to walk in one building where so many famous people are buried that never really seemed like real people to me. Secondly, we were able to visit the Royal Society, where individuals like Newton, Einstein, and Hawking, were members. We were even able to see the book with all of their signatures when they signed to become inducted into the society. The night of our visit, the President was kind enough to meet us and chat for a few minutes. It is really amazing to be able to say I have shaken hands with, and kind of taken a picture with, a Nobel Prize Winner, who is now the President of a society where scientists like JJ Thomson and Isaac Newton were once Presidents. One can see how the events above were truly transformative to me as an individual. I was walking in the homes of, holding belongings of, and seeing first hand many discoveries of people who once seemed so inconceivable and incredible to me. 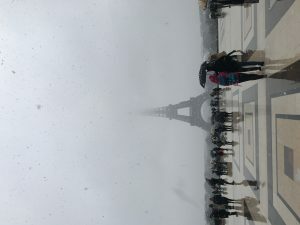 Although the most transformative events for me took place in London, Paris was absolutely transformative for me as well. Firstly, I saw so many famous sites like the Eiffel Tower, Notre Dame, the Arc de Triomphe, and many other. 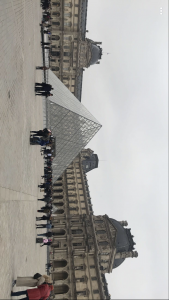 It was so eye opening to see how the people and culture differ in France. One transformative experience was having to attempt order Chinese food in French, while the only French I know is “bonjour” and “merci”. Once I was able to accomplish that nearly impossible task, I knew nothing else I encountered could be as bad. 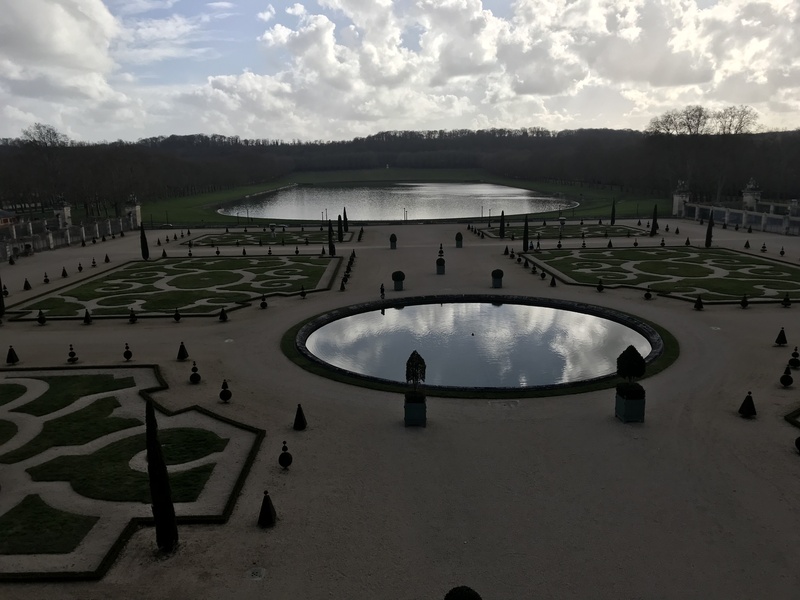 In France, I had the pleasure to spend the day at the palace of Versailles. How grand this palace is was truly breathtaking. Everything is gold or diamond with gorgeous art hand painted on every single ceiling. 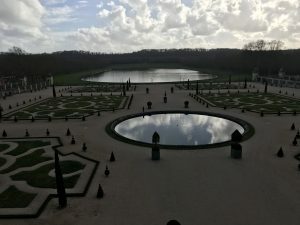 My favorite part were the gardens, which sent me back in time. Thinking about this trip gives me goosebumps and I want nothing more than to go back and do it all over again. I now have more appreciation for other languages, cultures, and for my studies in school. It was amazing to see the accomplishments of so many notorious scientists first hand, then to go and see where they are buried. I also now have more confidence with my abilities to get settled into new environments and thrive without the assistance of others. I know this will come in handy throughout my life, as I will be constantly forced put myself in new, and maybe uncomfortable situations, and need to thrive to be successful. I am so grateful that STEP was able to make this trip a possibility for me and will never forget the time I spent in London and Paris. The green and white cross is the widely recognized symbol for pharmacies in Italy. My roommate, Jen, and I in Caligari. New friend!! 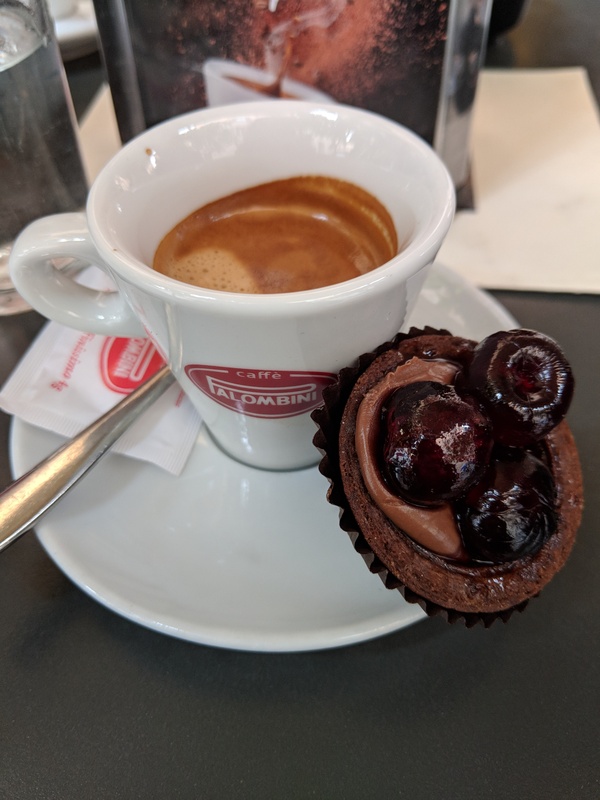 An afternoon snack of espresso and a chocolate tart with candied cherries. 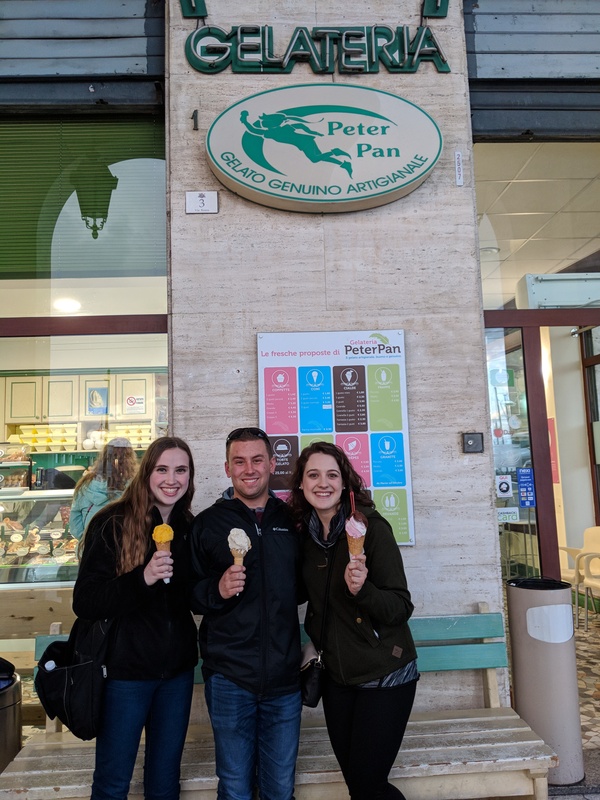 For my STEP project, I traveled with Ohio State’s College of Pharmacy on a study abroad trip to Italy. The purpose of the study abroad trip was to learn about the healthcare and culture of Italy. 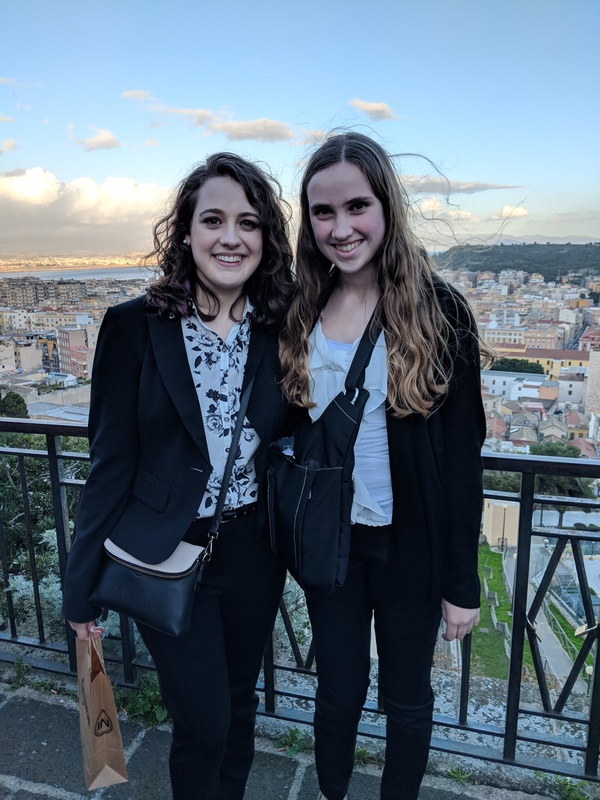 While in Italy, we visited a community pharmacy, two hospital pharmacies, and The University of Caligari, which has a pharmacy program. In addition, we toured cultural sites such as the Colosseum, the Pantheon, and the Roman Forum. In completing my STEP project, my view of the world, especially of that surrounding healthcare, changed. Since I have lived in America my whole life, I really thought that there was only one approach to healthcare and accessibility for patients. 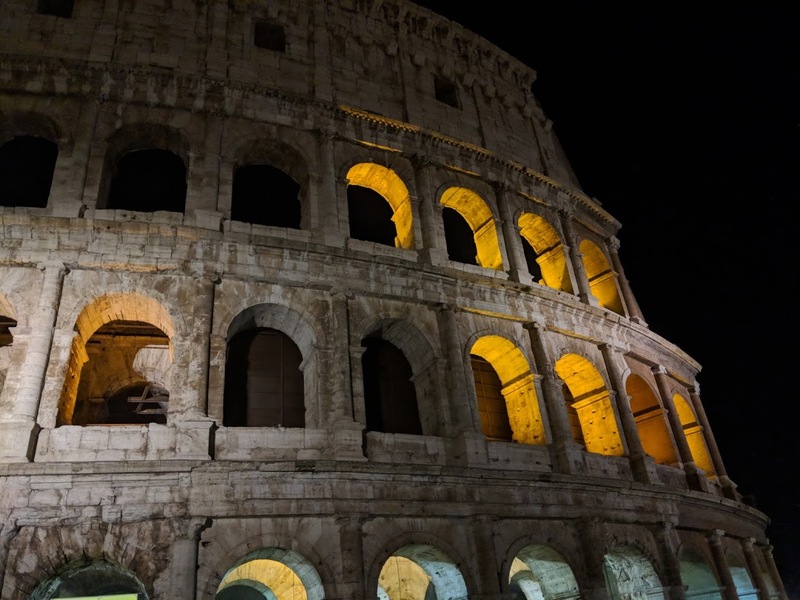 However, when I traveled to Italy, I realized that Americans can do so many things differently when it comes to healthcare. For example, healthcare in America could be much more accessible if the medication boxes had braille on the outside of them like the medication boxes in Italy do. Pharmacies in Italy also have vending machines outside of them for over-the-counter drugs which would be great to see incorporated in American stores. My biggest takeaway from the trip was that there are many ways to accomplish the needs of patients in healthcare and that looking to how other countries treat their patients can help improve healthcare decisions at home. My transformation occurred when I visited several pharmacies throughout Caligari and Rome. American pharmacies are quite a bit different from Italian pharmacies. In America, pharmacies have transformed into national chains that are also convenience stores where you can buy a lot more than medicine. In contrast, Italian pharmacies only sell medicines and a limited number of cosmetics and all stores are owned independently of one another. In Italy, pharmacies seemed a lot more focused on patient care than any other aspect of a retail experience. Pharmacists were throughout the store instead of being behind a huge counter or hidden away from customers like they are in America. It was great to see the patient interactions that Italian pharmacists in comparison to those that American pharmacists have. While in Italy, I also learned that pharmacists can prescribe a limited number of drugs to patients if the patient can describe their ailment well. Being able to go directly to a pharmacist and be prescribed a common drug is great, especially if someone does not have time to go to a doctor. It also alleviates strain on other parts of the healthcare system and frees up doctors to treat more serious cases. If American pharmacists had the same ability as Italian pharmacists, I think that it would improve the healthcare system. 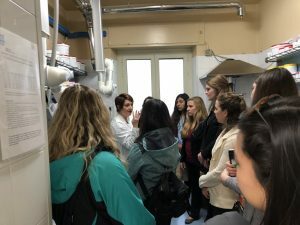 My tour group also traveled to a hospital pharmacy where we met a pharmacist that was involved in research and clinical trials. Having a pharmaceutical background for drug research would be a great aid to clinical trials because pharmacists have a well-developed understanding of drugs. Being involved in research as a pharmacist is an excellent combination of patient care and drug development. I really enjoyed that Italian pharmacists had a wider scope of practice than American pharmacists do. While American pharmacists can certainly be involved in research and clinical trials, it is not very common. If American pharmacists were to have as many diverse functions as Italian pharmacists do, it would be very interesting to see how the American healthcare system could change. Overall, my visit to Italy and the changes I had in my mentality while I was there matter to me because I am a future pharmacist. As a future pharmacist, my relationship with the healthcare system will be heavily intertwined with my future career. It is important for my career to be more than a simple 9-5 job. I want to have a positive effect on the patients I interact with and build up the community in which I work. My transformation that I experienced in Italy will help me create changes in the American healthcare system that goes beyond how it currently exists. I want to work to be the best ambassador that I can be between pharmacy patients and the pharmaceutical industry. I would love advocating for having more accessible branding on medication boxes (such as braille) and advocating for pharmacists becoming mid-level providers that can write prescriptions for common drugs. The way that the American healthcare system currently works is not perfect and there are many ways that it can change in the future. Italy showed me that the healthcare system can be much more accessible and patient-friendly – I hope to carry the Italian mentality into my future career. My STEP signature project was participating in the Scientific Roots in Europe study abroad class. During the spring semester, we learned about significant discoveries and revolutionary ideas in science history. Over spring break, we went to London and France, and visited the places where these discoveries happened, along with other major scientific sites. This trip was transformational if a few different ways. During this trip, I stepped out of my comfort zones in many ways and develop new social and independence skills. Naturally, I am shy and tend to keep to myself, but my project I became a more social person and talk more to others. My project also gave me skills for living on my own, such as budgeting and time management. Additionally, traveling outside the US gave me a chance to talk to people from other countries, and it was interesting to see how different yet similar people around the world are. Their beliefs are different from ours, but there were some actions and attitudes that it seemed were shared throughout people. It makes me think that despite different upbringings and beliefs we, are still alike and want to help one another. My first transformational experience happened very early on, while we were waiting for our plane in the airport. Where we had been silent to each other in class throughout the semester, we finally began to talk. Being a very shy and reserved person, talking to almost complete strangers was new to me. Throughout the trip, I also made an effort to be more social with the group and talk to new people. This has affected my behavior today, and I am truly enjoying and finding it easier to be social, whereas before I would rather do stuff on my own. This project helped me develop many skills for independence. For both STEP, and myself, I created a budget. Before leaving, I set limits on money I would sped each day on food, transportation, personal expenses and anything else. I also Had every day planned out, because we only spent a few days in each city and I wanted to make the most of my time. These were firsts for me, and really showed me how effective they could be. Before, I would never make plans such as these and live more in the moment, but they really helped me keep my spending in check and put every moment of my time to use. One of our nights in, after our plans were done for the day, a group of us went out around the town. On our way, we ran into three guys who lived there. We struck up a conversation and talked to them for a while. They seemed just like any college guy you would find here on campus. Despite living in another country, they were so similar to people here in the US. So many people were also helpful and nice to us throughout our stay. Many people helped us with directions, and in France people even went so far as to help by translating signs, menu items, and other things. These changes are all valuable in their own way. The way I’ve changed socially has helped my make many new friends, and even join a majorly social club (AIChE) that I had no interest in before. My project has also given me structure in my life, as I now utilize budgets and even create schedules for entire weeks. And I think my more positive view of people has made me a nicer/better person. All in all, this project has changed my personal life significantly for the better. 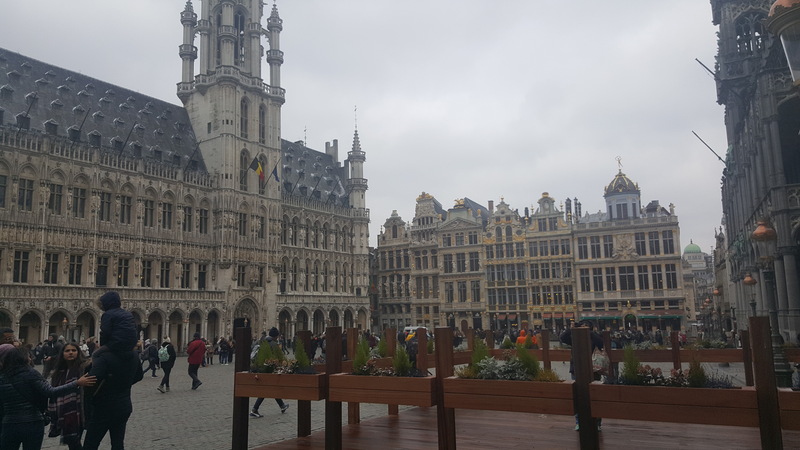 The STEP Signature Project I pursued was an analysis of scientific roots in Europe and over spring break an excursion to London, Paris, and in my case, Brussels would be made to engross ourselves in the society that cultivated the greatest minds known to man. 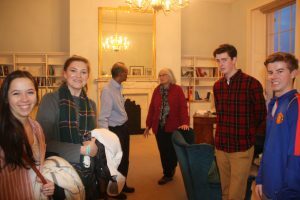 This trip was accompanied by a class that met twice a week wherein speakers would be invited to come discuss various paradigm-shifting scientists (Newton, Pasteur, Darwin, etc). Before taking this class and going on this enlightening trip, I was perhaps a bit incredulous about the discoveries, derivations, and experiments of esteemed scientists as we learned about them in school. A major evolution in my thinking about these pioneers is they were people just like us. Visiting Charles Darwin’s home in Down, England truly opened my eyes to the personal lives of awe-inspiring figures of science as it allowed for a glimpse into his life rather than his theories. An unfortunate outcome of learning out of textbooks is the notion that discoveries compound on themselves and if one “does science” for long enough, they will derive or discover the next biggest thing. This phenomenon does not occur in reality as almost all well-known paradigm-shifting ideas occur in a “scientific revolution” format as the famous American physicist, Thomas Kuhn, puts it. Beneficially, and rather cliché, my fragile and naïve view of the world was shattered when just roaming about the cities during my free time. It dawned upon me that the people living here were going through the same struggles, conflicts, and taking life one step at a time as we do back home. Often, we put the lives of those living in “grand” and “romantic” cities upon pedestals because they are so lucky to be living in such a beautiful place; however, those same “lucky” people do not feel this way and probably think the same about those of us living in the quiet, Midwestern suburbs. Truly, it puts how one views the world in perspective and as the popular saying goes, “The grass is always greener on the other side.” This does not mean I did not enjoy and/or was not enlightened my brief excursion across the Atlantic but it does mean one’s views can transform rather dramatically while in a different place. The first transformative experience was when I visited the Pasteur institute in Paris. Widely regarded as the father of microbiology, Pasteur pioneered, rather unknowingly, modern treatment of viruses utilizing old and weaker strains of said virus. His usage of outstanding science and experimentation set the standard for many years to come in the medical field. Additionally, Pasteur developed the universally used method of pasteurization which kills microbes in food and drink with the most popular example being milk. These rather impressive achievements in one lifetime can be daunting for a lowly student just completing their undergraduate studies; however, during the visit of the Pasteur institute one would get the impression Pasteur was a human just like the rest of us but he kept his mind open and his wits about him. Second, when exploring the British museum in London, we had the benefit of traveling through the ages and witness the transformation of the old to the new. It truly is fascinating to experience the shifts in ideologies, in religions, or even in the human spirit as we learned about the Vikings who were notorious for being violent to the Greeks who valued culture over bloodshed. Moreover, the Rosetta Stone is displayed in the British museum and looking upon that stone and marveling at how this slab unlocked the mysterious language of Egyptian hieroglyphics. These experiences contributed to my transformation of broadening the mind and being more accepting of cultures different than mine. What may seem normal to me may be chaos and confusion for someone across the world. Finally, the interactions with the people in both cities, mainly in Paris because of the language barrier, and the big city atmosphere were shocking at first. Not being able to drive to destinations due to legal and monetary reasons makes the experience much more different than living here in the United States. Therefore, one is forced to step outside of their comfort zones and ask the local people for directions or just general advice on the best eateries or attractions in the area. 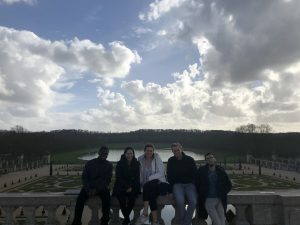 This allowed me to garner more experience in being an outgoing person who is not afraid to step out of their boundaries deepening the experiences to be had abroad. 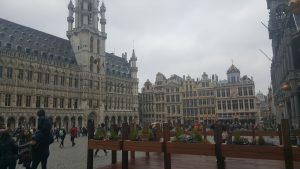 Additionally, I had lengthy conversations with those in London, Paris, and Brussels to explore how a person’s day-to-day plays out in these big cities. The changes and transformations that occurred during my study abroad trip has had a significant impact on my professional goals and plans. 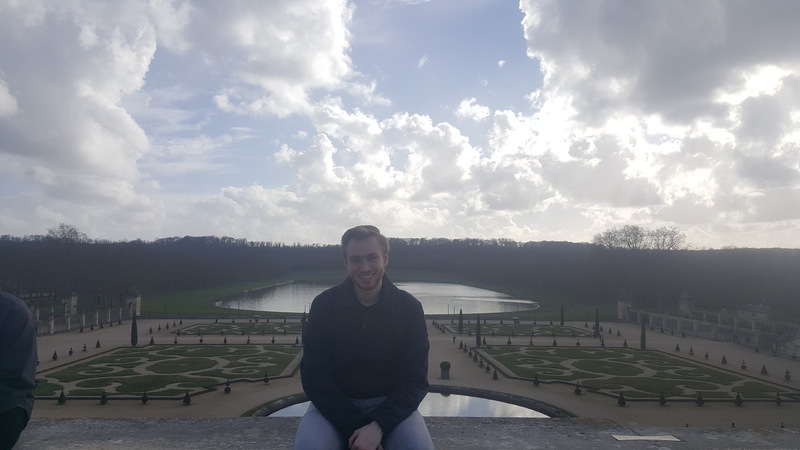 After learning so much about the scientific roots embedded in Europe and discoveries made in dubious circumstances, it has compelled me to attempt to pursue research during my undergraduate career. As mentioned before, I believe it is important for every person to travel and broaden their contact with people much different than themselves. To have finally immersed myself in another culture is a gift of immeasurable value and I will always cherish the experiences and knowledge I gained while abroad. For my STEP Signature Project, I traveled to Cagliari and Rome, Italy with a group from The College of Pharmacy. In Italy we visited both educational and cultural sites throughout Italy and were able to interact with various academic faculty and medical professionals. Through these experiences, I was able to experience a part of the Italian healthcare system and learn how Italian pharmacies are different from those in the United States. Overall the experiences in Italy changed how I viewed our own healthcare system in the United States. Before visiting Italy I assumed that the United States was far ahead of other nations in terms of technology and automation in Pharmacy. However, I learned that they have much of the same technology we have and, in some cases, even more. This taught me that I shouldn’t make assumptions about what resources another country has until actually having the facts. During our time in Cagliari we visited three pharmacy locations. 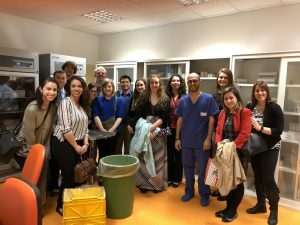 We visited an oncology hospital pharmacy, general hospital pharmacy, and community pharmacy. The two hospital pharmacies that we visited were very similar to those we have in the United States. They had much of the same automation, access to drugs, and overall procedures that I have experienced are generally in the average hospital in the United States. In addition, the oncology pharmacist received the same if not more education and training than our pharmacists in the United States. The main difference that I saw between hospital pharmacies in the United States and equivalent pharmacies in Italy was Italy was in general lacking the appropriate amount of personnel and staffing that is standard in the United States. For example, due to budget cuts there was currently just one pharmacist working in the oncology pharmacy. He said he had been working upwards of 80 hours per week since there was not another pharmacist on staff. This is in stark contrast of the United States where there are more than enough pharmacists present and many work a standard work week of 40 hours. For example, the James cancer hospital hires around 120 pharmacists for our oncology pharmacy here at Ohio State. The week we had visited they had just hired another pharmacist to share the workload and the pharmacist that had been working 80 hours said he would now be working closer to 40-60 hours per week. The biggest difference between pharmacy in Italy and pharmacy in the United States was present in the community pharmacy that we visited. The community pharmacy was almost unrecognizable from the large chain retail pharmacies that are common throughout the United States. In the United States the pharmacies we know are convenience or super markets with pharmacies conveniently located inside. These big chain pharmacies like Walmart, Kroger, Walgreens, and CVS just to name a few are focused not only on running a pharmacy, but also their regular store business, which makes up a large part of their profits. This is not the case in Italy where there aren’t any large chain pharmacies. Most community pharmacies are locally owned. This means that they stay fairly small. This does not mean however that they don’t have advanced technology. The community pharmacy we visited has an entire compounding center along with automated filling machines two things you see in a pharmacy in the United States. While their community pharmacies did have a small selection of items available for purchase without a prescription, they were mostly centered around heath supplies, toiletries, etc. This is very different from the United States where most pharmacies will sell you both grocery items as well as your prescriptions. These community pharmacies also appeared to be staffed more adequately compared to the hospital pharmacy we visited. Overall the pharmacies were nothing like I had envisioned. There were some aspects such as the community pharmacy’s ability to compound personalized medications that could be of great use if implemented in the United States. This showed me how I should never assume that just because something I am used to seems like it is the best system, it doesn’t mean that someone hasn’t thought of something that works even better. It also showed me how to be thankful for the resources we do have right here at home. We are very privileged to live in a society where we are at the forefront of healthcare innovation. While we have our own problems to deal with, our overall access to resources including professional staff is something that shouldn’t be overlooked. Being able to have a good amount of staff available to meet the needs of patients is important. If a hospital is understaffed it can lead to fatigue and mistakes by the medical staff that can have negative impacts of patients. This is something that was very prevalent in Italy, which made me thankful of what we have in the United States. These things that I learned while in Italy will likely have an impact on how I think in the future as I work towards becoming a doctor. It is possible that in my future career I will be expected to deal with various policy decisions. The experiences I had in Italy will likely affect how I will approach these future decisions. I will be more likely to do more research about how others have handled the same situation to see if there might be a better way of doing things. In addition, I hopefully won’t take for granted the resources including staffing resources that are available to me in my future career. I hope that I will be able to utilize these experiences I have had and knowledge I have gained through this trip to be a better doctor that is able to serve his patients more effectively. This past spring break I completed a service-learning trip to Honduras through the College of Engineering. 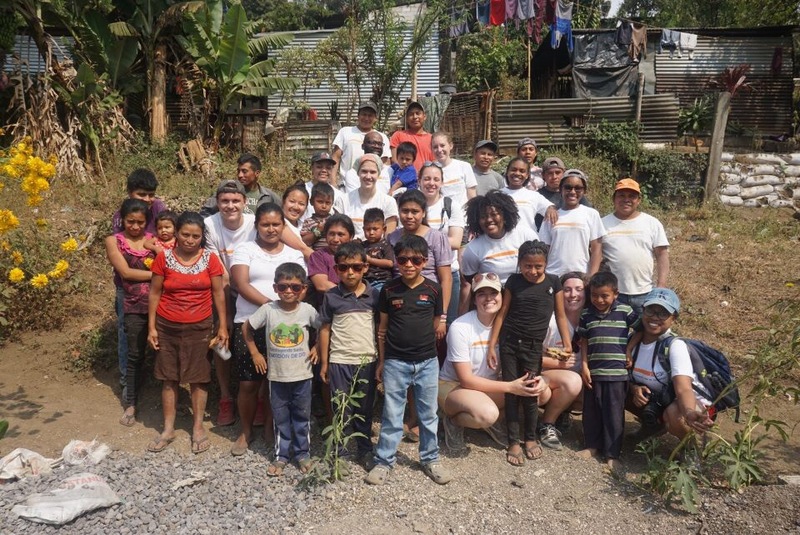 While in Honduras the class was completing four different projects that would help to improve the state of Montana de Luz, an orphanage that cares for children impacted by HIV/AIDS. For my specific project my team and I made agricultural upgrades to the hillside which the orphanage was built on. Since the foundation is a non-profit, we wanted to find ways that we would be able to help save the orphanage money and establish a plan that would be sustainable. The hillside was an expanse area of land that was quite steep and erosion was a major issue during the rainy season. The agricultural team from 2017 had to began to build up walls, made from rocks, that followed the contour of the hillside. When the hillside would begin to erode the soil washed down the hillside would ideally begin the build up behind the wall and form into a terrace for farming. 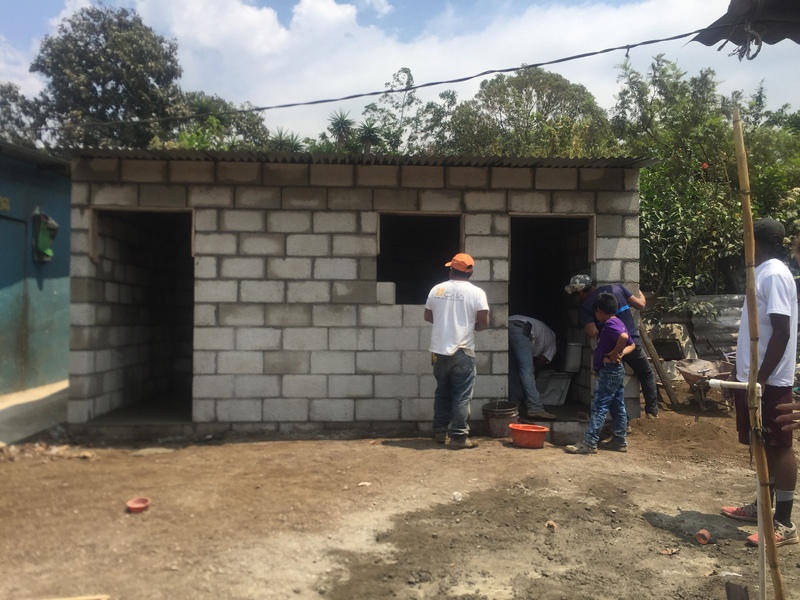 Our first goal for the trip was to create more walls and repair any weak areas in preexisting walls. We put in a wall that expanded the length of the hillside and two half walls where the land was steep. The next goal was to begin fixing the soil quality on the hillside so that gardening would be possible in the future. 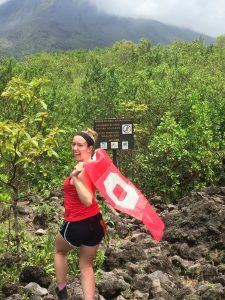 Before going to Honduras, we reached out to the staff at Montana de Luz as well as an Ohio State faculty member that had spent a year in Honduras to conduct research on native trees that would be able to help us achieve our goal. One of the trees we came across was the Madreado tree or as they call “the mother tree.” The tree is native to Honduras, has an extensive root system that would be able to further prevent erosion, and the tree can fix the nitrogen in the soil. We planned to plant these trees behind the contour walls to act as a living fence and provide shade for crops in the future. The trees are absolutely amazing because you are able to cut a branch off a living Madreado tree and plant it in the ground and then it will grow into a tree. I was quite skeptical when I was handed 50 branches and told to plant them in the ground, but the people in Honduras swear that it works. So we planted 50 Madreado and then the staff wanted us to plant 50 Chia trees in the same manner. Then we wanted to further correct the soil on the hillside so my team and I planted around 200 bean seeds in planters. When they were grown they could be transplanted to the hillside and the bean plant would put nitrogen into the soil. At the end we had created a full contour wall, two half contour walls, and planted 100 “magical stick trees” (what I like to call them) and 200 bean plants. We were also able to complete an educational project with the children at Montana de Luz. We created three different erosion scenarios: one of just soil, one with soil and leaves, and one with vegetation. Then we poured water over each and collected the water to show that vegetation helps reduce erosion and that is part of our goal for our project. Finally we sat down with the staff to ask what they wanted to do on the hillside in the future and we were able to draw up plans for future teams to put in place. Coming into Ohio State I had no desire to study abroad but STEP made me reconsider that decision. Classes were becoming a bit of a lull for me and I wanted to apply what I knew to help people that needed it. So I thought what better time than the present to go travel and contribute to a greater cause. So I started searching around to find a study abroad in the College of Engineering and I came along the one over spring break to Honduras. I have never traveled internationally, except Canada but I don’t count that. 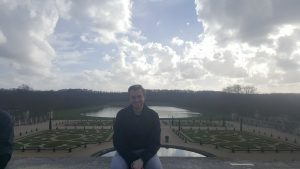 I made the decision that I was going to apply to the study abroad and see what comes of it. When I saw I was accepted to the study abroad I was excited and slight bit nervous. I had never seen a developing country first hand, only things that I had read or seen on the news. Our resident director had students from previous years come in to talk to us about their experience in Honduras. They all shared a common theme that is was a life changing experience, and they couldn’t have been more right. When we got to Honduras it was hot which was amazing because Ohio weather is the worst sometimes. We loaded onto a large bus and we drove on streets that aren’t maintained by police aka there is no speed limits or traffic lights, so that was pretty sketchy. Then when we finally arrived at the orphanage we got a warm welcome from the children and staff. Then we were shown where we were going to be staying and I was weary of it at first. The volunteer house’s windows and doors were open to any and all creepy crawly thing that lived in Honduras and we had to sleep in mosquito nets. We could not drink any of the water from the faucet or get water in our mouth from the shower. We were told to tap our shoes out in the morning because of scorpions. I was convinced that I wouldn’t be able to make it through the week living like this. However, by the end of the week I was functioning like a normal person (and the bugs no longer bothered me). It was humbling being able to see how these people in Honduras live with so little but they are the kindest people I have ever met. It put into perspective what is truly important in life. Here in the United States we complain if our wifi drops out or is too slow. The Hondurans live with the bare essentials: food, water that isn’t always clean, and some form of a shelter. The people rely on their faith, family, and friends; and this was just amazing to me. It made me realize how caught up I was in my own life and not really considering what was important. Now being back, when I get upset about something minuscule I like to reflect and put things into perspective for myself. Another big thing for me was not being sucked into my phone the whole week. My phone basically served as a clock the whole week and that’s all. It was definitely an adjustment since I was used to having it 24/7 and being consumed by social media sites. I know I am definitely guilty of having my face stuck to my screen most of the time. When I was forced to put my phone down it opened my eyes to a few things. One of the main things is I was able to interact with people around me and getting to know them at a more personal level, instead of having my phone as a constant distraction. But it forced me to consider how many relationships and conversations I have missed because I had my face in my phone. In Honduras I was able to experience everything and talk to everyone I met in Honduras as well as the people I had traveled with. 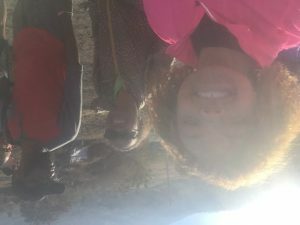 I noticed that throughout the trip I was constantly frustrated with not being able to communicate a lot with the children and staff there because of the language barrier. The last time I spoke a lick of Spanish was three years ago, so I only knew basic vocabulary and sayings. I was able to sort of communicate with them through gestures and the slim bank of words I knew. I tried all week to pick up more Spanish from people in my group who were minoring in Spanish and from my resident director and teaching assistant. I wanted to just know Spanish and it made me mad, but when I communicated with staff at Montana de Luz they were extremely patient with me when I tried to show or explain something to them. The language barrier made me more patient towards myself and towards the people there. I wanted to be fluent but I know I couldn’t do that in a week. I took the time to ask for the translation of what I wanted to say and slowing down to understand what the staff and children were trying to communicate back to me. The trip to Honduras was an incredible experience and I am so glad I was able travel to another country to help complete projects that will positively impact the staff and children at Montana de Luz. Thanks to the funding from STEP and a scholarship from the College of Engineering going on the trip was possible. I love sharing my pictures and stories from my trip with people back home and at Ohio State. It’s crazy to look back and think I had no desire to travel abroad. Using my knowledge and two hands I was able to create an impact. I’m so grateful this trip has brought me amazing friends and experiences that I wouldn’t trade for the world.